1 photograph : color photolithograph print ; sheet 24 x 18 cm. 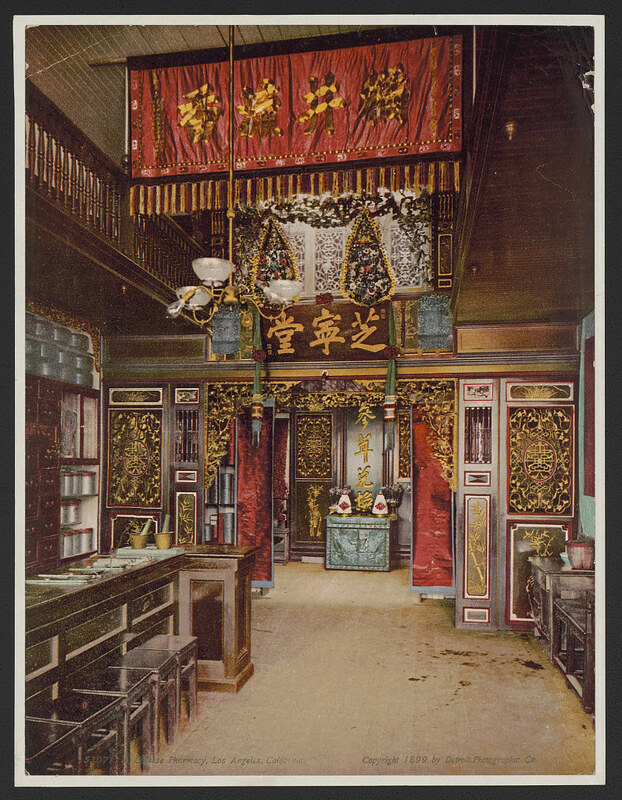 Summary: Photolithograph shows interior of Chinese American pharmacy. • Exhibited as a digital copy in: "Not an Ostrich: And Other Images from America’s Library" at the Annenberg Space for Photography, 2018; Detroit Publishing Co. section and Business & Science section. • Chinese Americans–Health & welfare–California–Los Angeles–1890-1900.